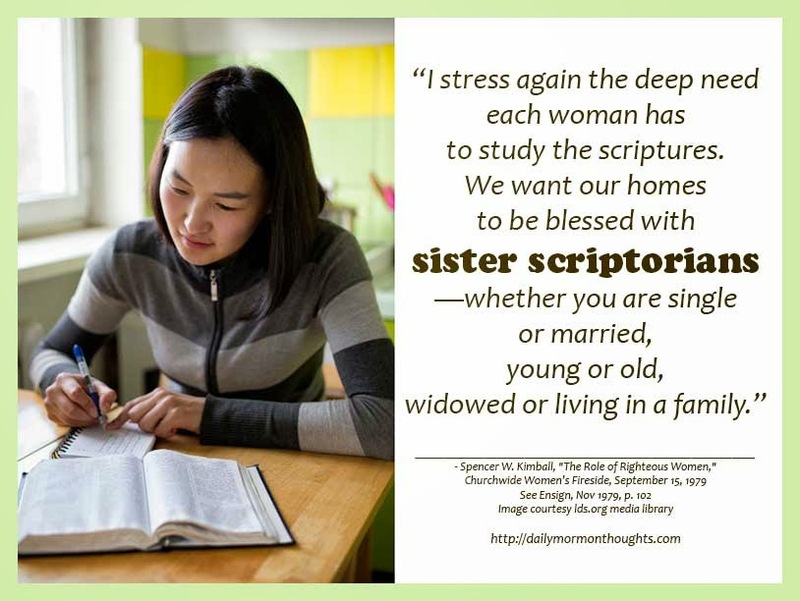 Daily Thought from Modern Prophets: Spencer W. Kimball on women becoming "sister scriptorians"
Spencer W. Kimball on women becoming "sister scriptorians"
President Spencer W. Kimball (1895-1985) was ordained an apostle in 1943 and served as President of the Church from 1973 to 1985. The following excerpt is from a marvelous address given to a women's fireside held September 15, 1979—a precursor to the General Women's Meeting held today. "I stress again the deep need each woman has to study the scriptures. We want our homes to be blessed with sister scriptorians—whether you are single or married, young or old, widowed or living in a family. "Regardless of your particular circumstances, as you become more and more familiar with the truths of the scriptures, you will be more and more effective in keeping the second great commandment, to love your neighbor as yourself. Become scholars of the scriptures—not to put others down, but to lift them up! After all, who has any greater need to 'treasure up' the truths of the gospel (on which they may call in their moments of need) than do women and mothers who do so much nurturing and teaching? "Seek excellence in all your righteous endeavors, and in all aspects of your lives. 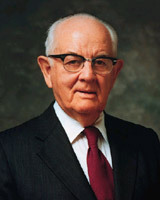 "Bear in mind, dear sisters, that the eternal blessings which are yours through membership in The Church of Jesus Christ of Latter-day Saints are far, far greater than any other blessings you could possibly receive. No greater recognition can come to you in this world than to be known as a woman of God. No greater status can be conferred upon you than being a daughter of God who experiences true sisterhood, wifehood, and motherhood, or other tasks which influence lives for good."